"Do you like top quality workmanship? This home has that throughout !! You will be amazed that this 5363 sq.ft. home,has such a warm home feeling. You walk into the front door to a big entryway, Off to the side there is a guest bedroom w/on-suite. Then walk into the kitchen and check out the beautiful granite, Viking appliances big dining area and a butlers pantry. Open concept to the living room with a gas fireplace with built-in's. Continue out to this huge covered deck with a gas fireplace. Awesome for entertaining and what a view. If you chose to put hot-tub in it has 220 hook-up for a hot-tub. Check out the master bedroom big and beautiful, with an on-suite you will fall in love with- 2 shower heads and really it is like 2 showers. (Awesome workmanship) 2 sinks with granite counters. Oh wait the master walk-in closet with built in drawers and has so much storage and room. Walk down the beautiful staircase to the basement and you walk into a wet bar area which could be a full kitchen very easily. Features a huge family room that is set up as a theater room. All top notch equipment is negotiable with offer. Now from there, walk in the big exercise room with top notch flooring, and off of that room is a garage for storage or possible a small car. Also, off the exercise room is a gun room you and even your wife will love. Laundry hookups upstairs and downstairs. It has a prep area with tv and a combination area with a walk in room for the guns, or any other important things you want to keep safe. Outside you have storage area under the deck, and a 30x40 garage with 12 ' doors. 220 hook up and heated and insulated. Low E tinted and solar controlled windows - safety security film on downstairs windows. This is a must see so hard to explain the awesomeness of this home. " 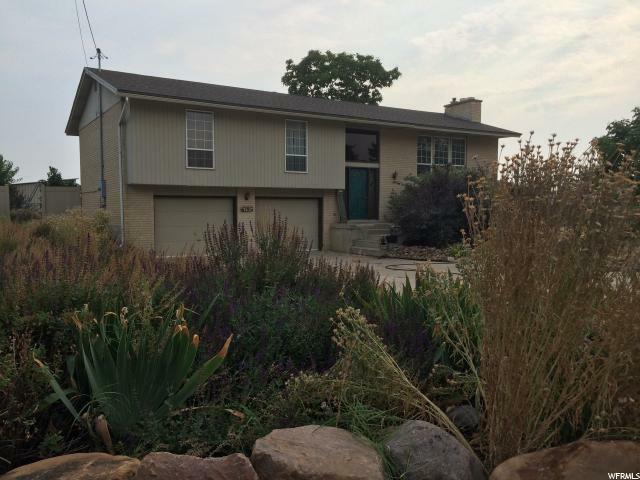 "5000+ Sq ft rambler in Hooper Landings on 1/2 acre west-facing lot. Only $108/ft. 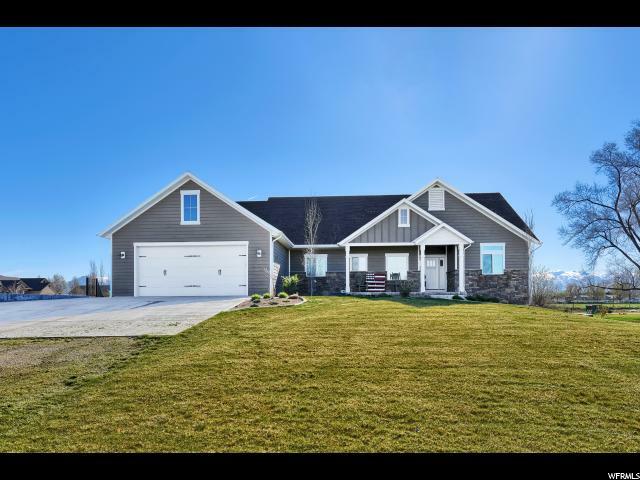 5bed/3baths - oversize 3 car garage. RV Pad parking. Huge covered patio. All SS appliances included. Washer/Dryer inlcuded. Gas fireplace upstairs. Wood burning stove downstairs. ENORMOUS craft suite. Generous storage/food storage/cold storage. CLEAN, CLEAN CLEAN!! Well-maintained. New carpet. Fresh paint. Beautiful master suite. Laundry on main. Large garden area. Near walking/biking trails. " "Beautiful home in a quiet Hooper neighborhood. Large half acre corner lot with mature landscape including shade trees, orchard, garden boxes, animal rights, and chicken coop/run. Extra deep 3rd car garage with RV parking on the side. Gorgeous kitchen with large pantry and granite counter tops. Large master bedroom and bath with walk in closet and jetted tub. Gas fireplace in great room with vaulted ceilings. Walk out basement. Large storage room." "Beautiful Single Level Living on Almost Full Acre with Outbuilding! Must See! This Home has a Custom Kitchen and Large Open Layout! Master Suite, Master Bath has Double Sink, Oversized Jetted Tub & Shower. Front Garage was Converted to 1,044 Sq Ft Workroom/Shop/Storage. Addition Built with Attached Two Car Garage. Well-Built Outbuilding, Approximately 2000 Sq ft. Wonderful Views. Close to Amenities and Up and Coming Developments." 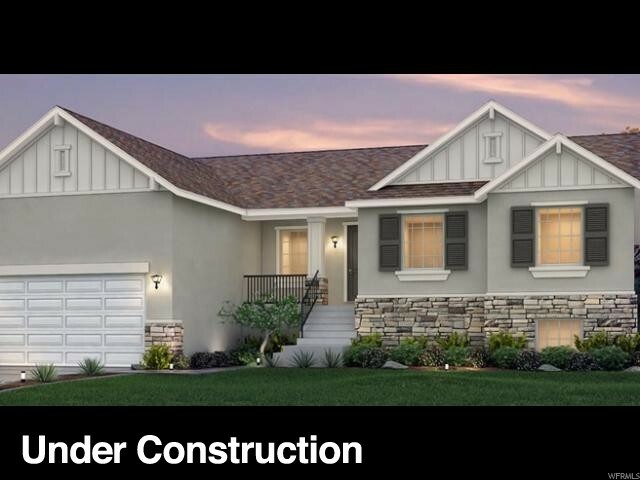 "QUICK MOVE IN - Our popular Lancaster floor plan will be move in ready soon . 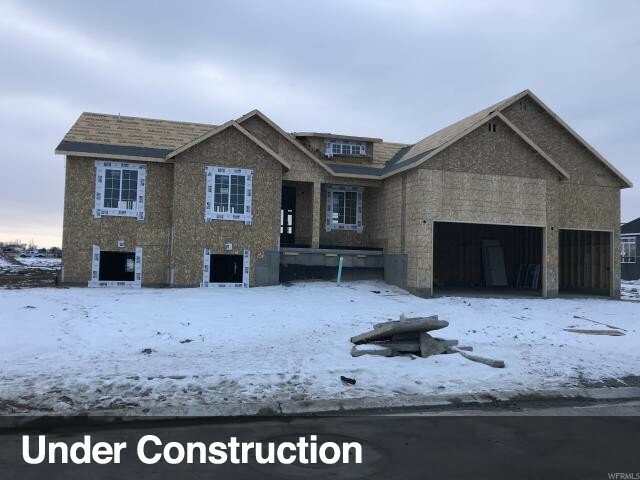 Fully finished with 6 bedrooms , 3 bathrooms, extended 3 car garage and covered deck are just a few of the amenities in this home . The vaulted ceiling with a wall of windows in the great room make this home very inviting . 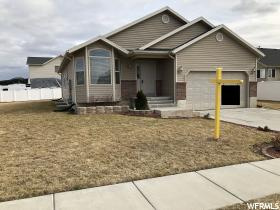 Finished basement includes a spacious rec room with 3 bedrooms. Come see it today !! " 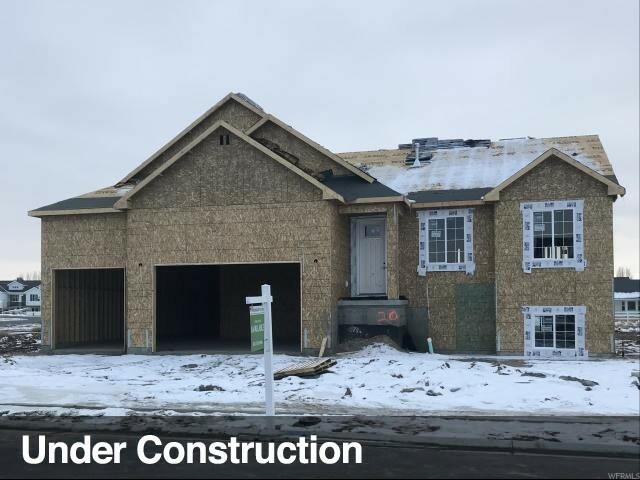 "Split 4 bedroom design - Master entrance is separate from hall to 3 secondary bedrooms on the main level. 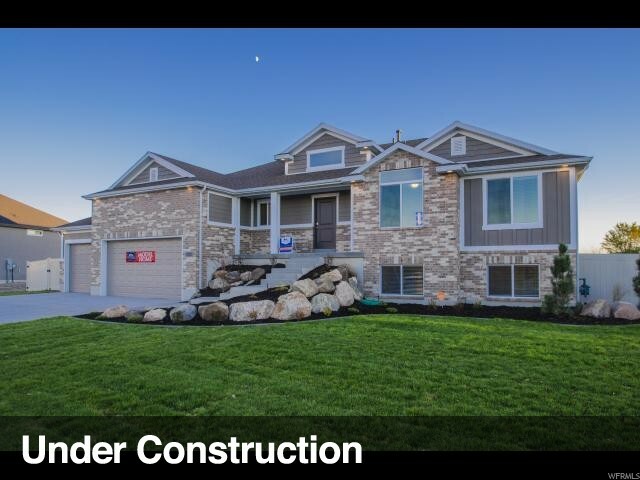 You must experience the open depth of this home in the Great Room to Kitchen to know what HUGE feels like! 9ft ceilings on main level, Basement has separate entrance for future living. Plenty of room on garage side for RV parking or drive to your future workshop! No HOA. " "ROPING ARENA HORSE PROPERTY! Nice, clean 4 BR 2 BA home, Shop (Heated, AC & Insulated), 2 Barns, Tack, Accessory Buildings, Arena, Chute, Boxes, Runback Alley, Corrals and Pasture. Water Available. ..More. " "Craftsman Country style home, with cool tone finishes, white cabinetry, steel gray granite, wood look gray luxury vinyl, carpeted front room, hall & bedrooms only. Lots of can lights, south facing on 1/2 acre, zoned for animals, quiet country living within 5 minutes to shops, dining, medical facilities. " "Just Right! Not too big, Not too small. Designer selected finishes are a mix of classic and contemporary- Sleek & Cool Taupe neutrals. Country living only 5 minutes to shopping, dining, & medical facilities. Park your RV, bring your horses or chickens, build a giant workshop - No HOA. " "Rural living with peace and quiet in Hooper, Utah. This well-built, ONE-LEVEL rambler is perfect for all home-owners. The floor plan is spacious and is great for entertaining. The Master Bedroom has a large walk-in closet with two built in dressers and a large bathroom with a double shower. The laundry room is huge with an oversized, freestanding sink. The fenced backyard and covered patio make for relaxing barbecues and family get-togethers. 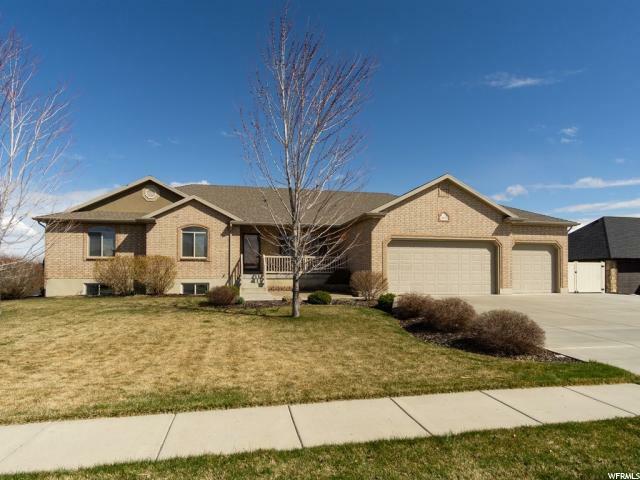 The home is within walking distance of the Hooper Park and Hooper Elementary. 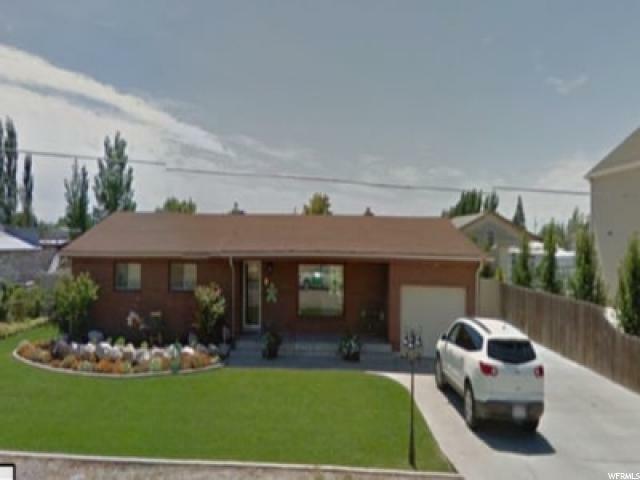 1/2 acre lot with plenty of parking (RV), garden space, a shed and lots of elbow room. New patio furniture and Lifetime swing set are not included but are negotiable. Addition added in 1991. Buyer to verify all information." "New paint, new carpet, new microwave. Full basement, under front porch cool storage. "